It is rare for a plant expansion and a new plant start-up to occur in the same locality at the same time. 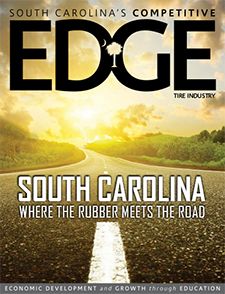 However, Bridgestone made it happen in Graniteville, South Carolina with the help of readySC™. Bridgestone Americas, Inc. announced in late 2011 that it would spend $1.2 billion to expand its Passenger Tire Plant (PSR) and build a new off-road radial tire (ORR) manufacturing facility in South Carolina. This investment represented the largest single initial capital investment in the state’s history to date. The new 1.5 million-square-foot manufacturing facility in Graniteville is the first Bridgestone plant outside of Japan to produce large and ultra-large ORR tires. The expansion of the PSR facility, which accounts for $346 million of the investment, was finished in the summer of 2013. When fully completed, these two projects will increase Bridgestone Americas’ workforce in Aiken County by more than 850 jobs. readySC partnered with the local SC Works office and the Lower Savannah Council of Government to support Bridgestone’s recruitment goals. Additionally, readySC worked collaboratively with the company and Aiken Technical College to train Bridgestone’s newly hired employees making sure they quickly attained the necessary plant-specific entry-level skill sets. One of many tools utilized by readySC to support Bridgestone’s training effort is the train-the-trainer program. After initially conducting training for selected members of Bridgestone’s ORR Plant, the plant embraced the program and established it as a foundational part of their training structure. They quickly recognized that having qualified and certified trainers in all areas of production and staffing created both tangible and intangible efficiencies. As of mid-2015, the PSR Plant and ORR Plant operations are lauded as huge successes for Bridgestone Americas, for Aiken County, and for the state as a whole. 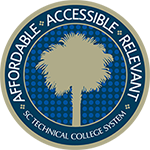 The customized solutions and flexibility provided by readySC and all the workforce partners in simultaneous and seamless support for the two plants demonstrate perfectly how South Carolina works to enable companies and our ready workforce to grow together.